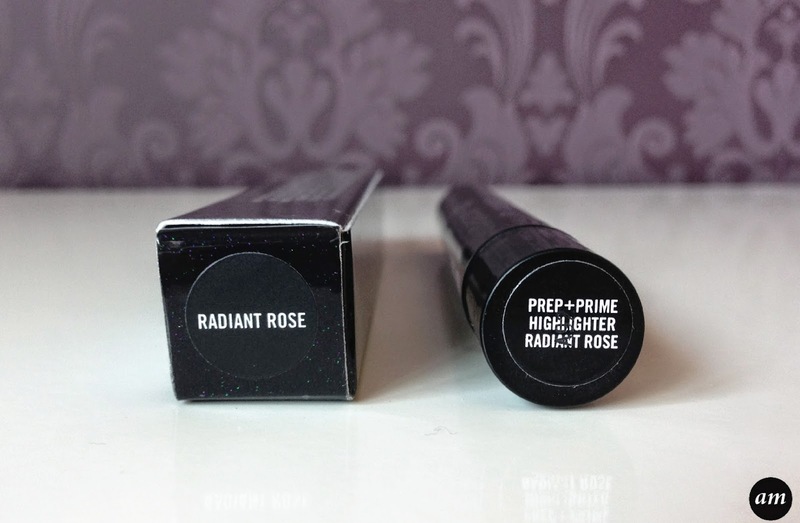 Radiant Rose is a lovely pinky peachy colour that really suits pale skin. 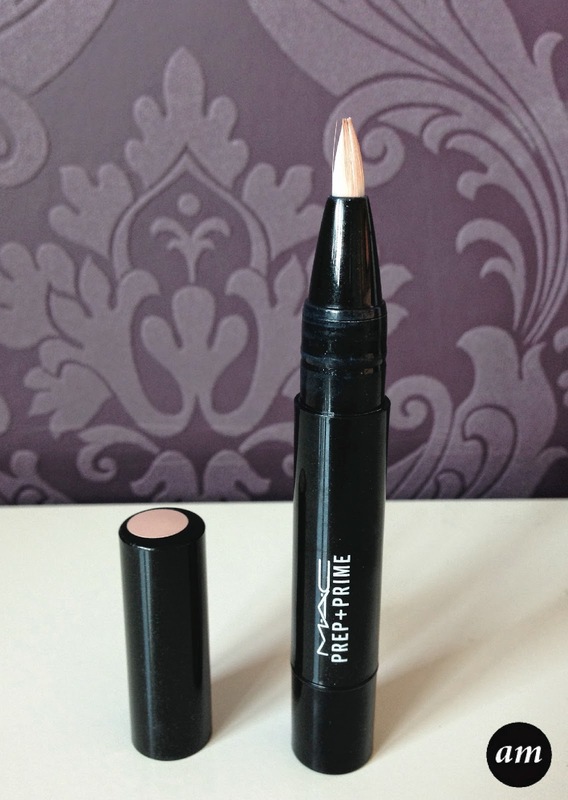 It comes in a pen applicator, which I prefer as you can place the product exactly where you want it. To let more product onto the tip, you have to twist the end. I've found that the product tends to dry up a lot and you have to turn it a good few times before any starts coming through. I like to use this highlighter around my eyebrows, in the cupid's bow part of my lip and sometimes under my eyes. If your eye socket comes low down like mine, you can visibly see it with or without makeup on. When using a highlighter underneath your eyes, it can sometimes highlight the socket line and make you look really tired, which is why I don't use the product in this area very much. The Prep and Prime highlighter lasts for the majority of the day, but you would need to re apply it if you were going back out at night. On the pictures above, you can't see the glittery bits on the box and the product. It looks really pretty, I love it! 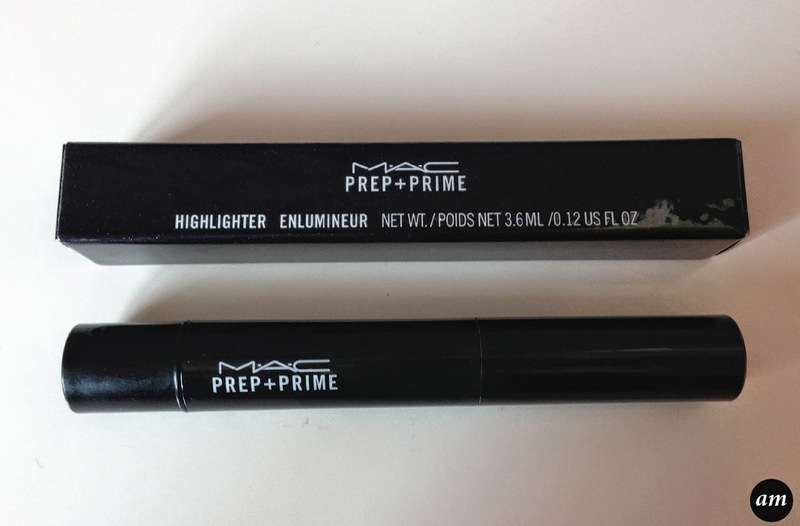 Overall I would recommend the MAC Prep and Prime Highlighter as it really does make a difference to your face. 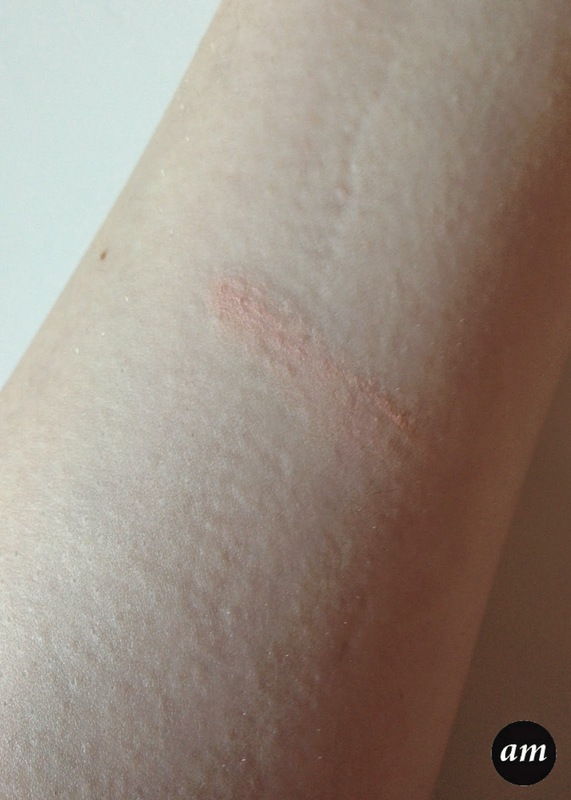 You can purchase it from any MAC counter for £18. Have you ever tried a MAC Highlighter? I think I am one of the few but I tend to like Mac's highlighters and concealers more than I like their foundations. nice post and very inspiring blog!